If you love all things Hillsong but prefer a mellowed out, chilled approach then don't miss this worship experience. Similar to 'Forever Reign' and 'Yahweh' - this album follows the original 12 tracks from the Zion album released in February 2013. Recorded live in a local Sydney coffee shop Hillsong United present 12 stripped back songs from their bestselling album Zion, featuring a CD and a bonus DVD. The sample video to the right of this description showcases their unique experience as they cram their instruments and their hearts for worship in one room. The DVD includes all 12 tracks from the acoustic offering, which makes for a generous gift, a refreshing worship experience, and an excellent resource for cafes and youth clubs. 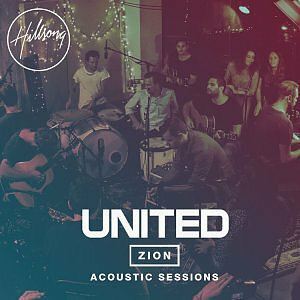 Zion Acoustic Sessions CD/DVD by Hillsong United was published by Hillsong in January 2014 and is our 13358th best seller. The ISBN for Zion Acoustic Sessions CD/DVD is 9320428267177. Be the first to review Zion Acoustic Sessions CD/DVD! Got a question? No problem! Just click here to ask us about Zion Acoustic Sessions CD/DVD. Now Playing: Relentless (Acoustic Version) Your browser does not support the audio element.